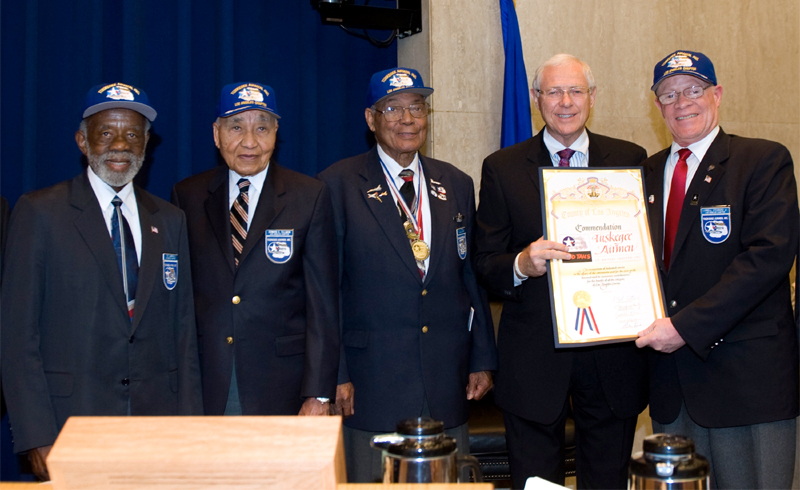 [Mike Antonovich] – Supervisor Michael D. Antonovich honored the Original Tuskegee Airmen at the weekly meeting of the Board of Supervisors. The Tuskegee Airmen were members of the segregated United States Army Air Corps’ Black Air Force during World War II trained at the United States Army Air Corps Base located at Tuskegee, Alabama. “The Tuskegee Airmen serve as role models and mentors to youth of all ages at schools throughout Los Angeles County,” Antonovich said.